Pretty tent tops! Almost looks like a ballet. That's a great shot Jilly. Very pretty scene, and excellent narrative. HA! 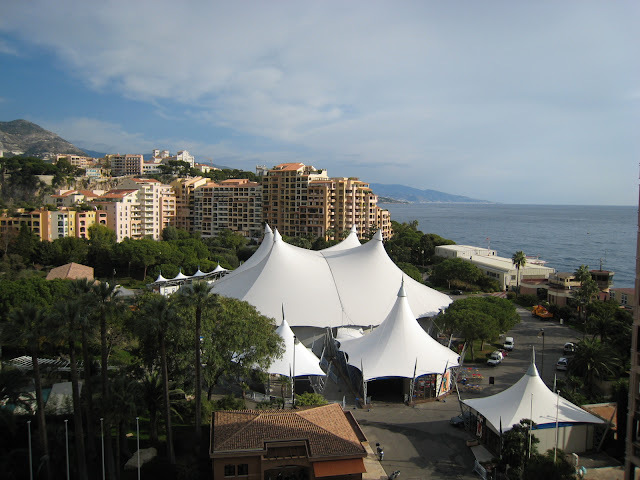 Trust Monte Carlo to pitch stylish designer tents instead of the regular simple ones. The shape of the tents elevate them from mere tents to something picturesque. I haven't heard the term "kermesse" for years. As a child, I attended them regularly in a small town on Lake Michigan.